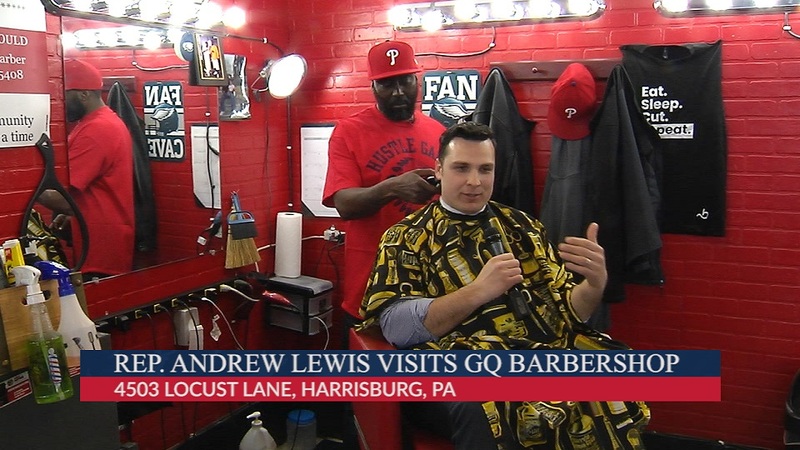 Rep. Andrew Lewis talks with a Harrisburg-area barber about how his Fighting Chance Act legislation can help workers, including those returning from incarceration, find meaningful work and be productive members of society. 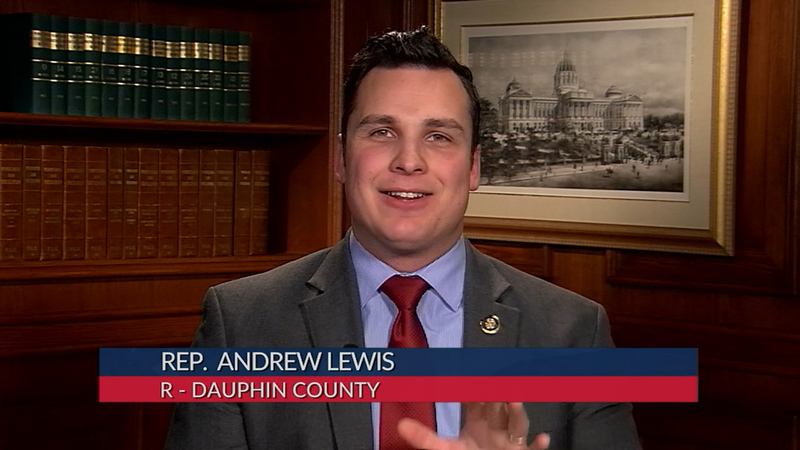 Rep. Andrew Lewis discusses legislation he is sponsoring with Rep. Malcolm Kenyatta of Philadelphia to make important regulatory reforms and criminal justice reforms, aiming to give all Pennsylvanians a fighting chance to succeed personally and professionally. 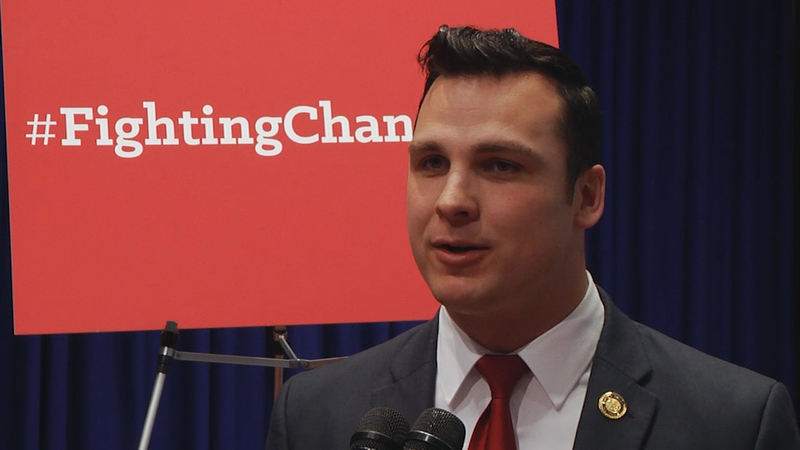 Pa. State Rep. Andrew Lewis stresses that career and technical education (CTE) proposals are aimed at establishing partnerships between education and businesses to create youth apprenticeships, career pathways, and rigorous career and technical education opportunities. 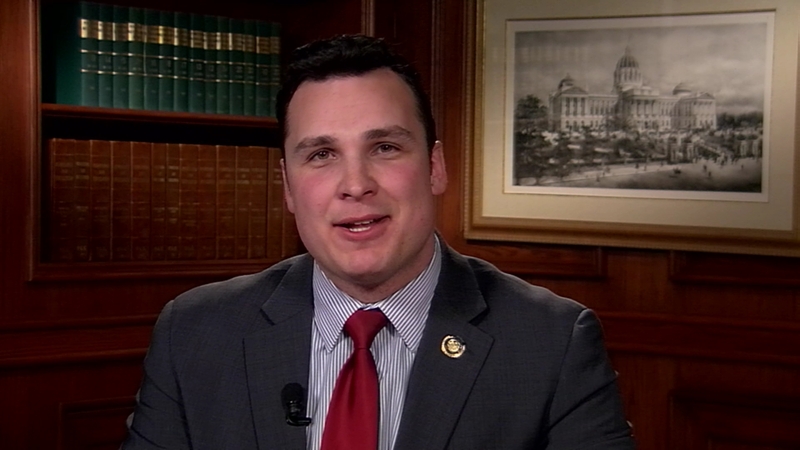 Rep. Andrew Lewis offers his thoughts on House Bill 768, a gun registration bill introduced in the state House in early March. 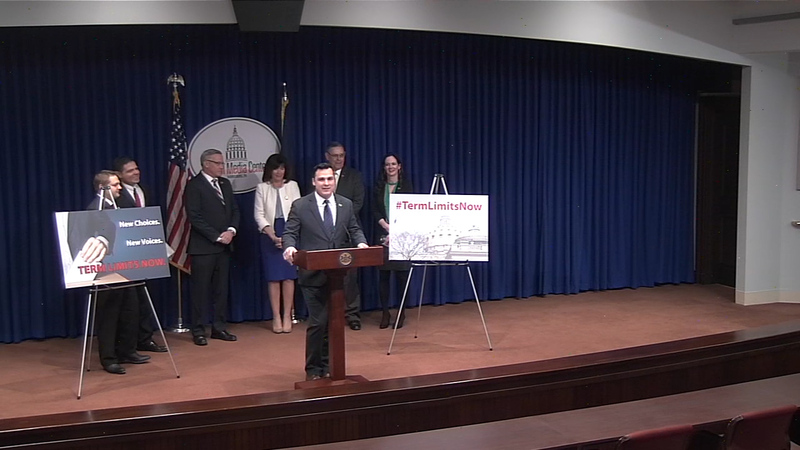 Freshman state lawmakers Rep. Andrew Lewis (R-Dauphin) and Mike Jones (R-York) unveil their proposal to enact term limits for members of the state House and Senate. 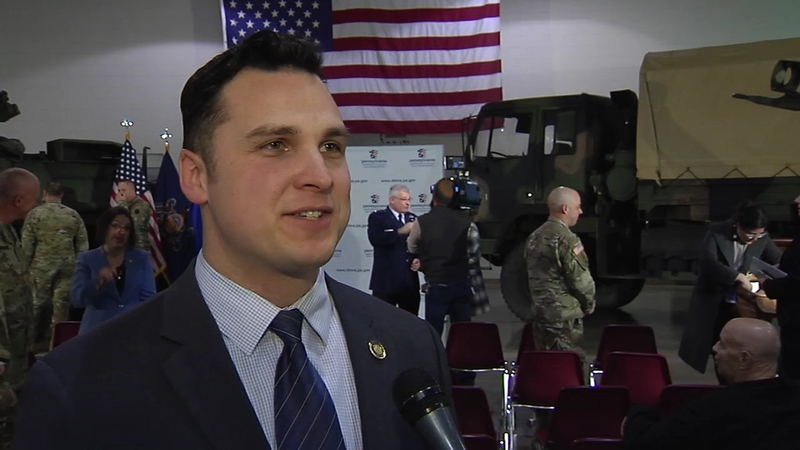 Rep. Andrew Lewis joined a bipartisan press conference to advocate for legislation to create a first-in-the-nation program to provide education benefits to the spouse or children of a Pennsylvania National Guard member. 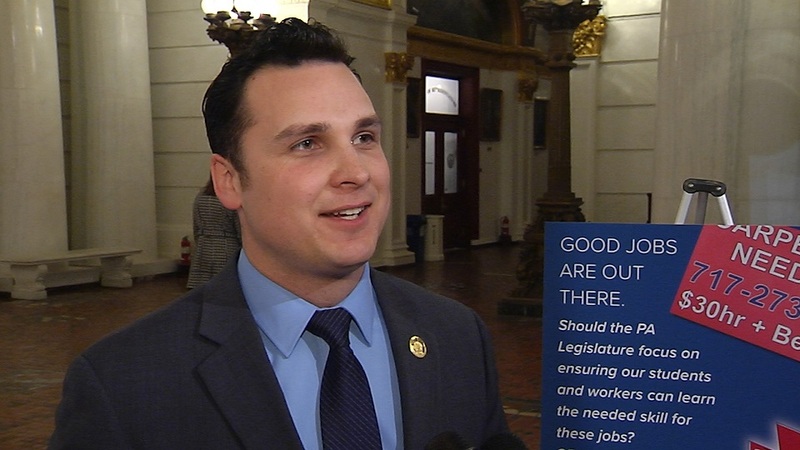 PA State Rep. Andrew Lewis comments after Gov. Wolf’s budget address to the Pennsylvania General Assembly. The budget address is the first step in the process to formulate Pennsylvania’s state budget. 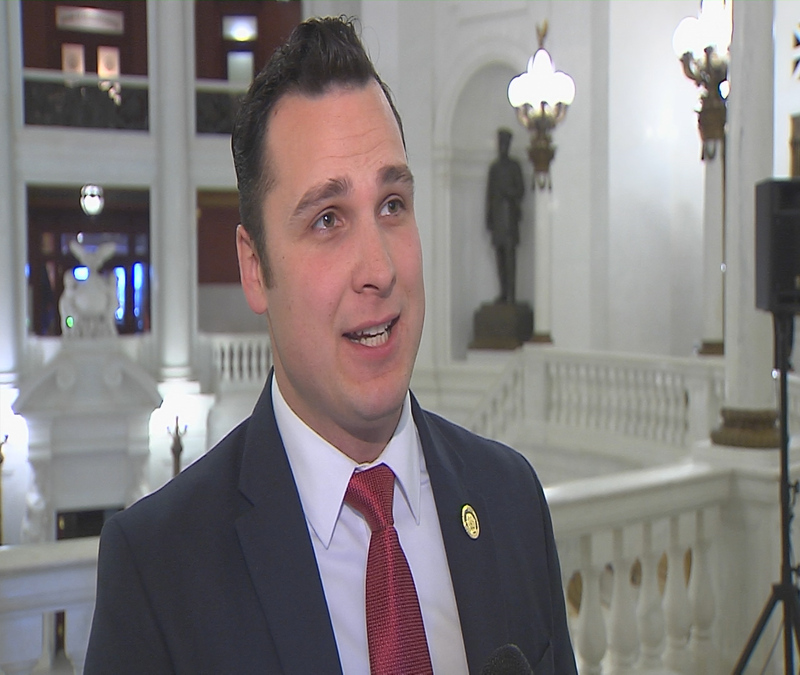 PA State Rep. Andrew comments after Gov. Wolf’s budget address to the Pennsylvania General Assembly. The budget address is the first step in the process to formulate Pennsylvania’s state budget. 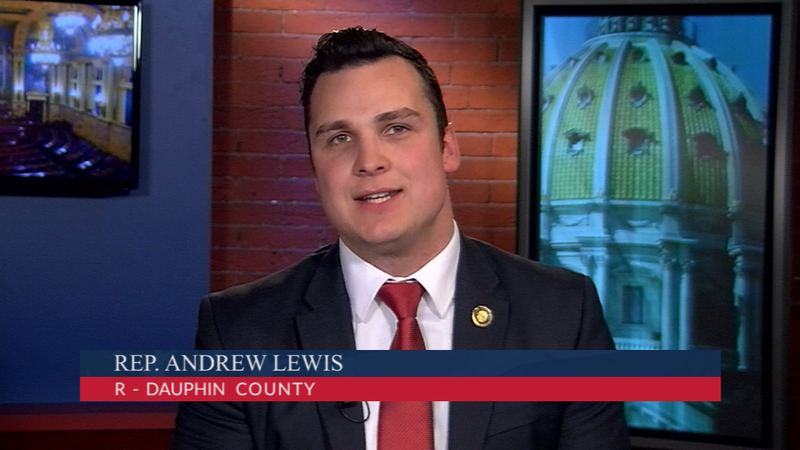 Rep. Andrew Lewis discusses several pieces of legislation he is working to introduce in the PA House. 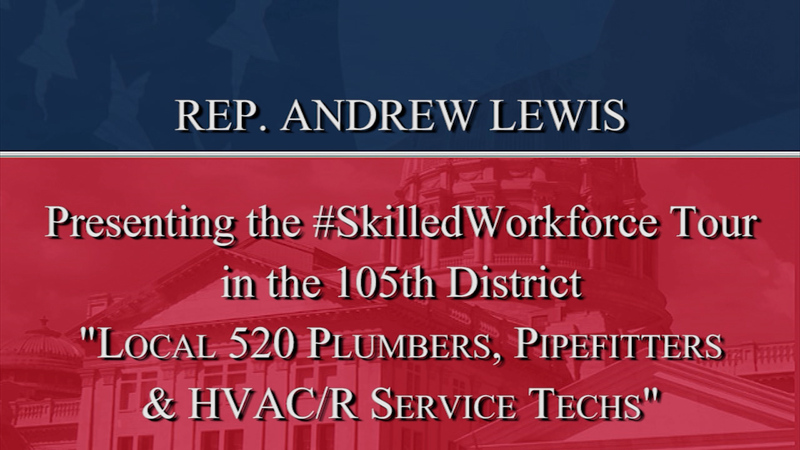 On the final stop of his Skilled Workforce Tour in the 105th District, Rep. Andrew Lewis takes a look at the outstanding career opportunities available through the Local 520’s plumbers, pipefitters and HVAC/R training center.